It’s fairly common, particularly for new developments, for public entities to require that the developer agree to construct, install or pay for improvements such as roads, sewage, storm water, electrical and other improvements. H.N. and Frances C. Berger Foundation v. Perez, Case No. E054948 (June 27, 2013) (a previously “unpublished” case that was changed to “published” by the California Court of Appeals for the Fourth District this past month), involved such an improvement agreement. As I mentioned, it’s usually the public entity who requires that improvements be made as a condition of approval of a development. And the Berger Foundation case is no different in that sense. What is different though, is that it wasn’t the public entity who sued when the improvements weren’t constructed, but rather, a third party. Berger Foundation involved the construction of road improvements for a development in Riverside, California. The road, known as Varner Road, was to benefit several properties, including properties owned by Desert Gold Ventures, LLC (“Desert Gold”) which were subject to deeds of trust in favor of the H.N. and Frances C. Berger Foundation (“Foundation”). In 2006, the road improvements were approved by the County of Riverside Transportation Department (“Department”) in a series of agreements known as the Varner Road Improvement Agreements (“Agreements”). The following year, the Agreements were modified to include performance bonds issued by Travelers Casualty and Surety Company of America (“Travelers”) to guarantee Desert Gold’s construction of the road improvements (“Performance Bonds”). In 2009, Desert Gold defaulted on its obligations, and the Foundation acquired the properties in foreclosure. In the trial court, the Department challenged the Foundation’s complaint, arguing that the Foundation was neither a party to nor an intended third-party beneficiary of either the Agreements or the Performance Bonds and that the Department had no ministerial duty to enforce the Agreements. The trial court agreed and the Foundation appealed. On appeal, the Court of Appeals held that, while a contract made expressly for the benefit of a third-party may be enforced by that party, the burden is on the third-party to show that there was a contract made expressly for the third-party’s benefit (or a class of beneficiaries in which he or she is a member) and that the contract clearly shows that the third-party (or class) was the intended beneficiary. Moreover, explained the Court, while intent is to be inferrred if possible from the contract itself, the court may also look at the circumstances and negotiations of the parties when making the contract, and if the contract is ambiguous may also consider the subsequent conduct of the parties. But, here, explained the Court, while Government Code section 66462(c) requires that a subdivision performance bond be obtained to guarantee an underlying subdivision agreement, “there is no requirement that the public entity enforce any specific obligations regarding the property’s improvements” and therefore “the public entity has discretion to determine the scope of improvements to be performed and bonded.” Thus, when Desert Gold defaulted, the Department exercised its discretion when it entered into an agreement with Travelers to modify the scope of improvements to be performed under the Agreements. 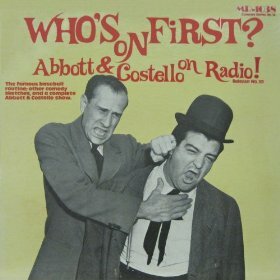 So, who’s on first? If you’re a party to an improvement agreement or obligee under a performance bond, you clearly are. If you are a third party beneficiary of such an agreement, you also are. But if you’re not either of these, well, then you’re simply out.